Cupertino, California is one of the core cities of Silicon Valley, best known as the home town of the headquarters of Apple, Inc (and the "Cuppertino effect", why not?). As such, it has one of best life quality among American small cities. 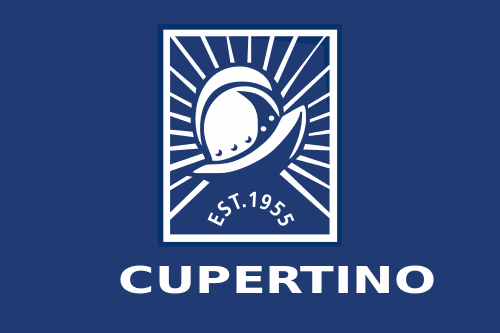 The flag of Cupertino is, unfortunately, one of those boring cases of logos on a bedsheet. The use of words and dates should be specially avoided in flags. The logo contains a morion, a kind of helmet here used to (anachronistiscally) represent the Spanish explorers that founded the city. 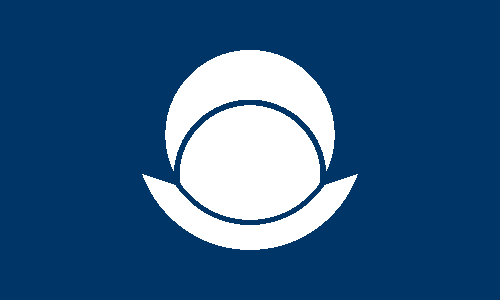 It appears even in earlier version of city's seal. This depiction of a morion is present in USA Army heraldry. Next week, a special post! Mumbai, also known as Bombay, is the most populous city of India, and one of ten most populous cities in the world. It doesn't seem to have a flag — at least, I haven't found any. 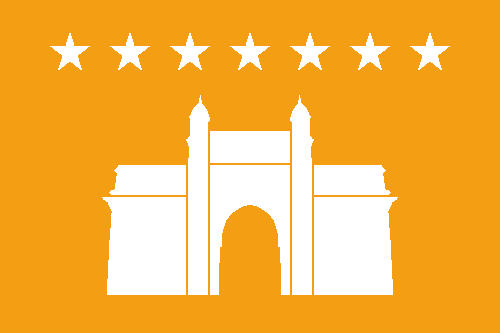 The seven stars represent the seven islands that constitute Mumbai. The building is the Gateway of India, the biggest tourist attraction of the city and representing its nickname "gateway of India"; it also appears in current coat of arms. The orange background was chosen due to its location in Maharashtra state, related to former Maratha Empire. Flags competitions are ont the way. I'll post my submissions here, too! France is going to pass through a territorial reorganization, with smaller regions merged into "super-regions". One of them is Alsace-Champagne-Ardenne-Lorraine. 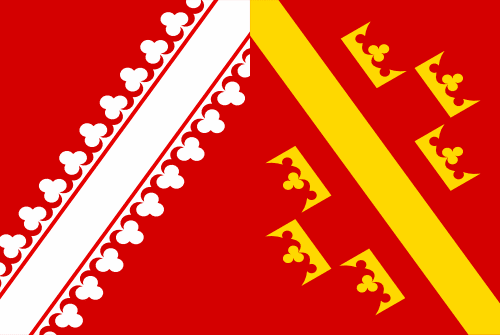 The territory of future super-region is going to comprise the current regions of Alsace, Champagne-Ardenne and Lorraine. The four quarters are taken from flags with a diagonal stripe, so I decided to arrange them forming a saltire. They are, respectively: Haut-Rhin, Bas-Rhin (mirrored), Champagne-Ardennes (mirrored) and Lorraine. 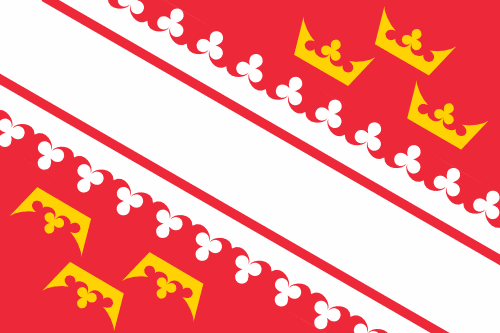 Haut-Rhin and Bas-Rhin are the two provinces of Alsace, notice how the regional flag is a mix of both. The result can be a little odd, but not less funny. I'll try something more elaborate next week. 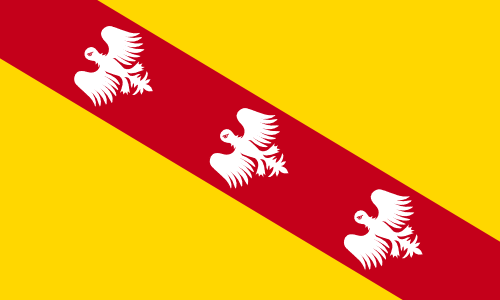 I've read news about many British communities designing local flags in celebration to the 750th anniversary of the first Parliament, called by Simon de Montfort in 1265. 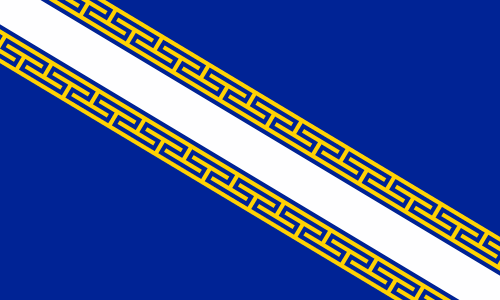 I thought "Why not a flag for Parliament?". This post is inspired by Sammy McKittrick's ideas here and here. 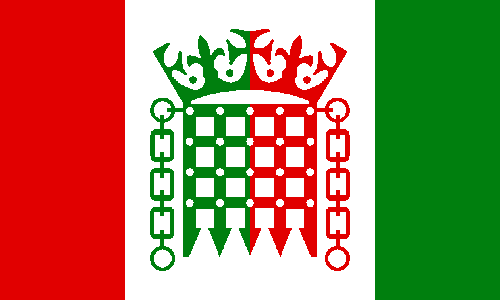 In the center of the flag, the logo of the Palace of Westminster (headquarters of Parliament), constituted by a portcullis and a crown. 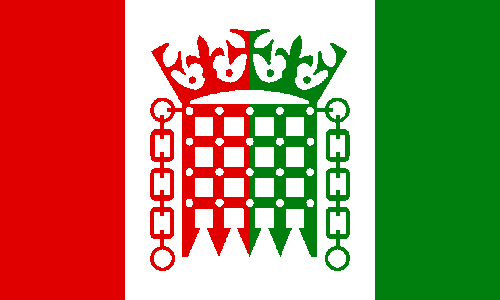 Red is the color of House of Lords, while green represents House of Commons. One of these flags could fly, for instance, when Parliament is on session. 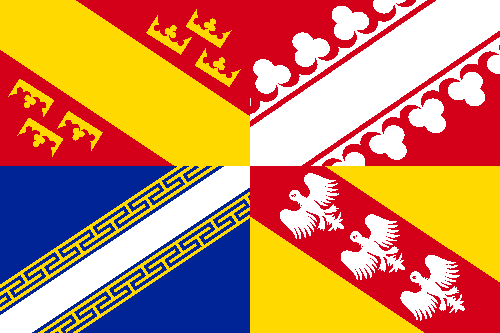 Read more about the Parliament contests for local flags here.